Aronia berries, a longtime favorite of wine and liqueur hobbyists, are now available in volume for wine production. Originally a fruit native to the eastern half of the United States, they’re commercially grown from New England westward into the Dakotas. 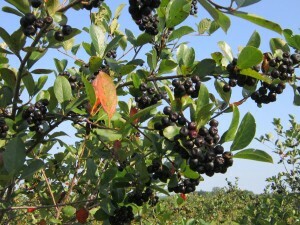 The wine potential of aronia berries is being tapped by wineries clustered mostly in the Midwest. Educators in universities in a number of states have supported increased production. Mike White, viticulture specialist for Iowa State University Extension and Outreach, has a list of 21 wineries that have produced aronia wine in Minnesota, Nebraska, Iowa and South Dakota, and one more each in Montana, Oregon and Maryland. ‘An aronia wine made in Nebraska won a competition in California,” he points out. White is a team member of the ISU Midwest Grape & Wine Institute. Another educator, Dennis Emslie Drummond, uses berries from a swath of 14 year-old aronia bushes at the Ag Center at Central Lakes College-Staples Campus, in Staples, Minnesota, where he is VESTA Coordinator. Two other wineries buy berries from the stand. Drummond made his first aronia dessert wine in 2012, followed by another in 2013. ‘I’m planning to blend aronia with a neutral apple wine to dilute the astringency,” he says. He teaches fruit wine production online and consults to a number of wineries. 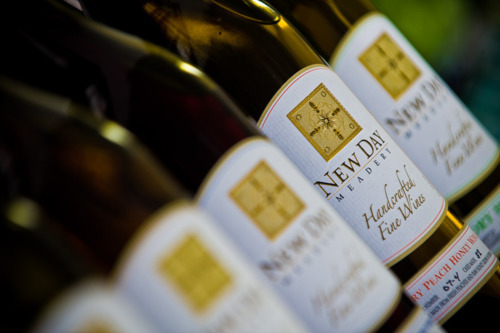 Wineries, like other businesses, face a dual challenge of product and sales. This is true even when they grow their own fruit. With a newly introduced wine, however, the first step is to get a fine product. The next is to be paid for it. The two wineries discussed here charge $15.00 (Montana) and $13.00 (Nebraska) for their award-winning aronia wines. How does aronia wine taste? Some people in Montana have found it evocative of pomegranate juice. They’ve sampled the aronia wine produced by Bob Thaden and his son Josh at Tongue River Vineyard & Winery, LLC in Miles City. Their Aronia Wine, made in 2014, won two bronze medals in 2015, one each at Finger Lakes International and the Mid-America Wine Competition (Iowa). a top quality wine, as it helps lead to media exposure. engagement in your state’s grape and wine association to build your winery’s reputation. promotion of your wine through social media. In Scotia, Nebraska, Richard and Susie Hanson of Rockin’ Rooster Winery Inc. have made two aronia wines, one with apple, Aronia Berry Apple Wine, their first in 2011. Their Aronia Berry Wine, made in 2013, won a 2014 Pacific Rim International gold. Their berries come from their own bushes. Thaden increased the production of his Aronia Wine this year more than 36 percent and could offer last year’s only to two retailers, because it was doing so well at the winery. He estimates that about two-thirds of their sales occur there — ‘not samples but one or two bottles,” he mentions. John Pilcher, a large Midwestern commercial aronia grower at Coldbrook Farm (ColdbrookFarm.net) outside of Momence, Illinois, first planted aronia berries in 2009, with a follow-up planting in 2011. He says that aronia berries are still so new to the market that winemakers may not know how to qualify a crop. and de-stemmed, cleaned, frozen and stored at an established fruit processing facility. 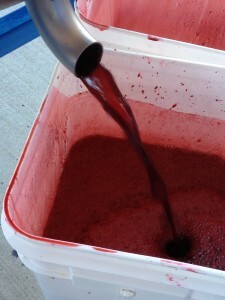 Aronia Juice at Tongue River Vineyard and Winery in Montana. Minnesota’s Drummond cites a fruit wine recipe from Dominic Rivard’s ebook “The Ultimate Fruit Winemaker’s Guide,” for a wine blending aronia, blackberries, elderberries and black currants (dominic@wineplanet.org, $12 ). Rivard, a Canadian, is updating and expanding the second edition of the book for hard copy publication in 2016. Thaden advocates using thawed frozen berries and, from his current batch of aronia fruit from two growers in North Dakota, he’s making some semi-sweet wine without cooking, modeled on what he learned last year. ‘The health benefits are fantastic,” explains Rockin Rooster’s Richard Hanson. The USDA has found that aronia is an important source of antioxidants, which impact heart health. In the USDA ORAC Survey of 2007, aronia berries outscored cranberries and blueberries. Winemakers no longer need to rely on Polish, Russian or Ukrainian concentrate. 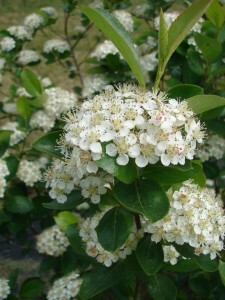 The supply of U.S.-grown aronia berries is sufficient. 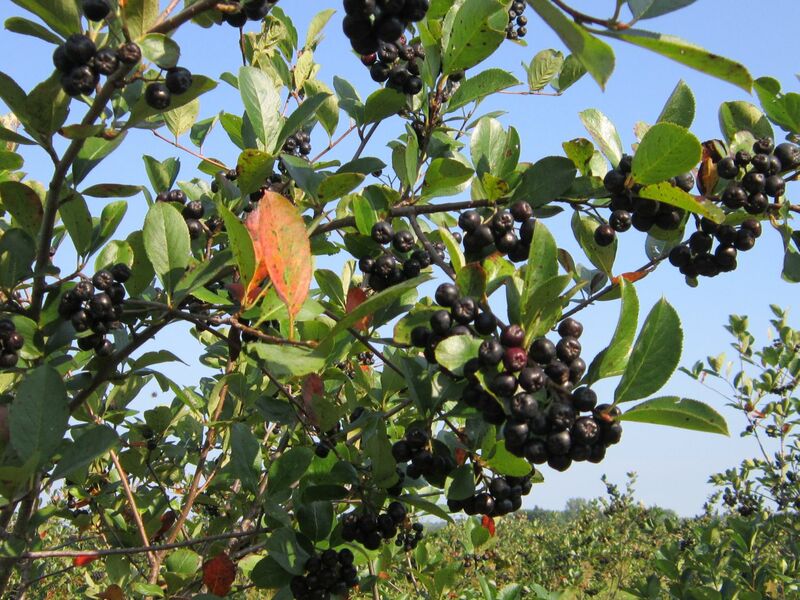 Pilcher says that aronia production has increased significantly in the past five years. American growers are prepared to meet the needs of the wine industry. Mildred Culp, Ph.D., is communications director at Coldbrook Farm Inc. Email mildred@coldbrookfarm.net. Copyright 2015 Coldbrook Farm, Inc.
Homepage photo:Dominic Rivard, author of “The Ultimate Fruit Winemaker’s Guide.” Photo by Arvin Tian.